Jen Renninger wrote in about her illustrative work and I was aglow. What talent! 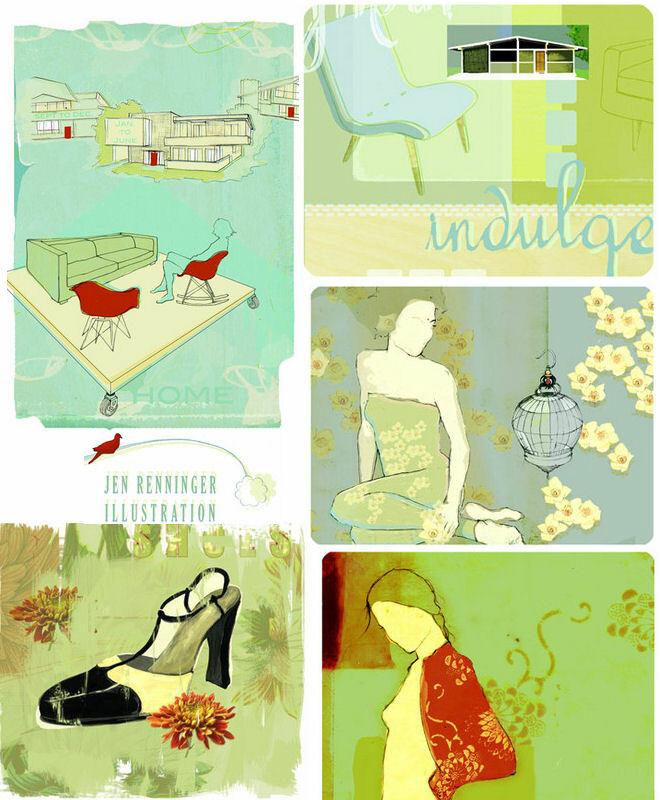 As a freelance editorial illustrator and long time closet designer, Jen has been working on her own collection of pillows, prints, and home accessories to compliment her illustration business. I can't wait to see her home collection because I love her style and color palette already. Her website will be up and running in a week or so (bookmark it), but here's a sneak peak of some of her illustrative work, to whet your appetite for what is to come. This lady is one to watch.